The new India International School branch, with world class infrastructure and conducive environment is situated adjacent to Mahatma Gandhi Hospital in the institutional area of Sitapura. The school is a co-educational institution and shall cater to the rising demands of admissions in that area. 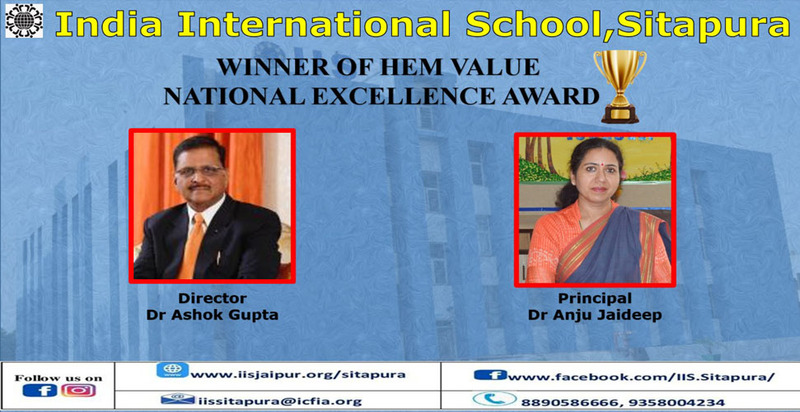 IISS is already recognized by the State Government upto upper primary level (i.e. from I to X). . This will subsequently expand up to Senior Secondary level in the coming years. The Sitapura Campus is located in a peaceful and clean environment away from the maddening crowd and pollution of the city, nestled in lush green surroundings which are very close to countryside yet easily approachable and well connected. This campus will give opportunities to the students to hone their skills not only in the field of academics and sports, but also get closer to the mother earth by adopting and developing the villages around the campus and exposure to carbon positive industries in the neighborhood, in terms of social services by doing our bit in giving back to the society what we owe.